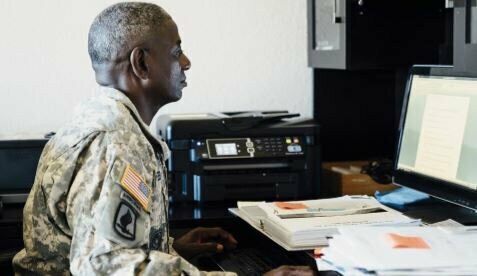 Technology can offer tremendous benefits to veterans with a variety of challenges. Join us for this demonstration of AT! Learn how assistive technology can support everyday activities, increased independence, reading, writing, memory, and communication. Space is limited – registration required. Contact HIP at 201-996-9100 for more information. ADVANCE REGISTRATION/PAYMENT REQUIRED. NO SIGN-UPS AT PICNIC. BELOW AND YOUR PAYMENT BY TUESDAY, MAY 29 th . Call the hip office at 201-996- 9100 on Tuesday morning for your pick-up time or if the weather is questionable. The rain date is scheduled for Tuesday, June 26 th . (201) 388-3525 after 3:00 P.M.
WHO WILL YOU WALK FOR? Aurora Nonprofit Challenge 5K Walk! This is an opportunity for you to choose hip and to participate in the event wearing the “Paula’s Pals” hat honoring the memory of longtime disability advocate Paula Walsh. Stephanie Thomas, one of Paula’s Pals at the Aurora Walkaton. 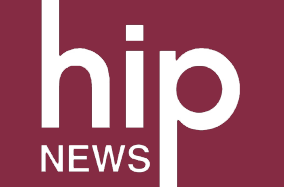 Governed and staffed by people with disabilities, hip offers wide-ranging programs and services for people with disabilities including peer support, advocacy, care management, and programs that provide funding for disability-related equipment and home modifications that remove architectural barriers. Support coordination that transition services enabled high school students and young adults to prepare for their future, and Multimedia Transcription Service transcribes print into Braille, with a special focus on producing textbooks to enable students across the country to be on the same ‘page’ as their sighted peers.